Moving to the Netherlands? These are your options. Our experts explain the options to have your belongings transported to the Netherlands. So, you’re moving to the Netherlands. That’s a great decision, we’re pretty sure you’ll enjoy it over here. But first things first: have you already thought about how you want to arrange your relocation? Of course you want all your belongings to arrive swiftly and safely. Our airports, commercial ports and roads provide excellent connections and transportation facilities. Which option do you prefer? We’ve consulted our relocation experts to provide expats like you with helpful tips, whether you’re moving from an European country to the Netherlands or from overseas. Please note that regulations and requirements can differ per country. In general a lot of factors come into play when moving from abroad to the Netherlands. Besides safe transportation you need to get a clear picture of payable customs, quarantine for special items, permits and also how to pack your items and have them collected and later on transported to the Netherlands. Of course costs are a big factor, especially when you compare shipping with air freight. In any case you will have to pick an international relocation company with experience. A lot of things for your relocation you can do yourself – saving costs at the expense of your time. So when time is an issue, and this is nearly always the case, choose an experienced and flexible partner that is able to take care of all aspects and can handle any potential issue. Why is this important? Your relocation must be an exciting next step in your life, not a time consuming hurdle. Our experts will guide you through the different options. Moving to the Netherlands? Shipping your belongings to the Netherlands by air is relatively straight-forward, with most areas of the country well-served by commercial airports. The largest airports in the Netherlands are Amsterdam Schiphol, Eindhoven, Rotterdam-The Hague, and Maastricht Aachen. 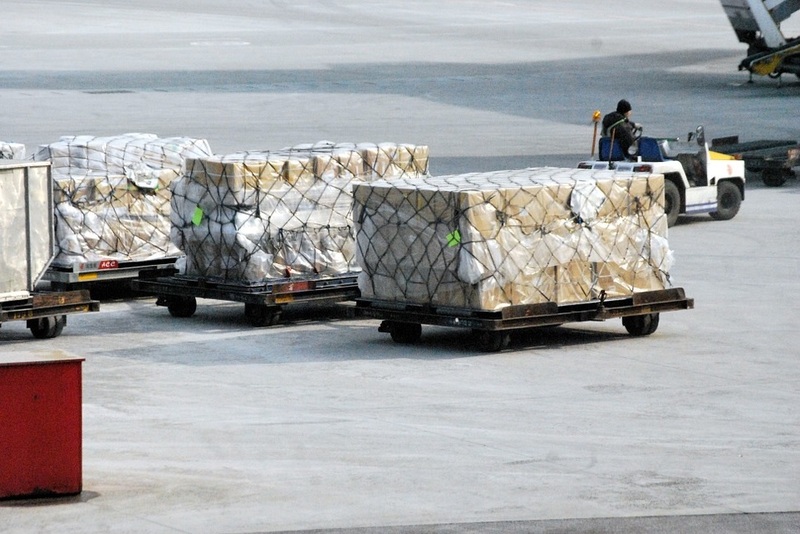 Air freight is quick and hassle-free – but this comes at a cost. After you have selected a partner to handle the relocation, usually the company will send an expert over to your house for an inspection of all belongings that need to be transported. This is necessary for the final, tailored quote. Now this is all clear, it’s time to agree on the date that everything will be collected. With this date fixed, the full planning can me drafted, including the scheduled flights. Our experts will pack all items. Not only do they have a lot of experience, they also have the right material to protect your things and understand the requirements of the different airline operators. Our Account Manager will hand you a list of preparations you need to do yourself to ensure a swift operation. Moving to the Netherlands? Shipping freight is a budget-friendly option to take your belongings with you. 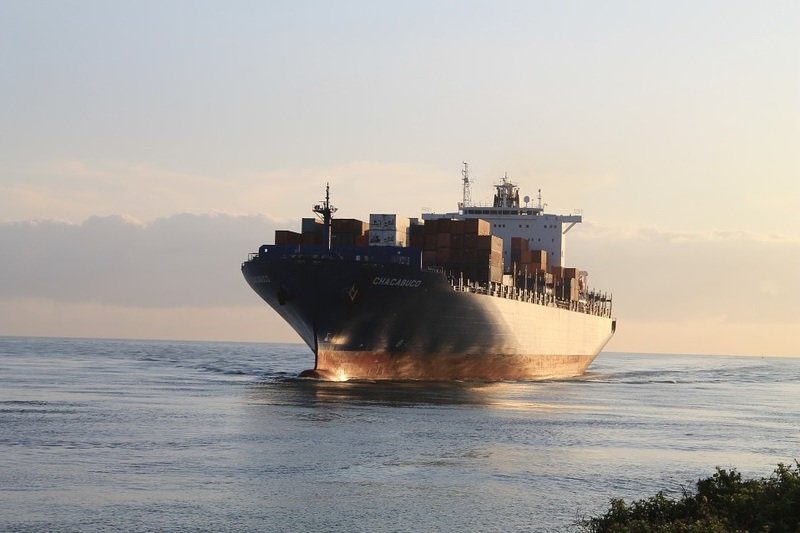 Container shipping is ideal for people planning well in advance. While there are many sea ports in the Netherlands, the most commonly used container ports can be found in Rotterdam, Amsterdam and Den Helder. Rotterdam is the largest port in Europe with around 30,000 vessels arriving each year. Grouping is an option that saves money: your items will be sent together with those of other companies. Low prices come at a cost: you need to wait until the ship capacity has been sold. So it can be unclear when your items will arrive. Also for shipping freight our experts will take care of packing all items you want to move. We know what different shipping companies require and can pack things in the right way. Especially when you move from elsewhere in Europe road freight is nearly always the best option. Also when coming from the UK, most goods are transported by trucks. We assume you don’t want your move to turn into a full-time job. So hiring experts to deal with your relocation will make life much easier. 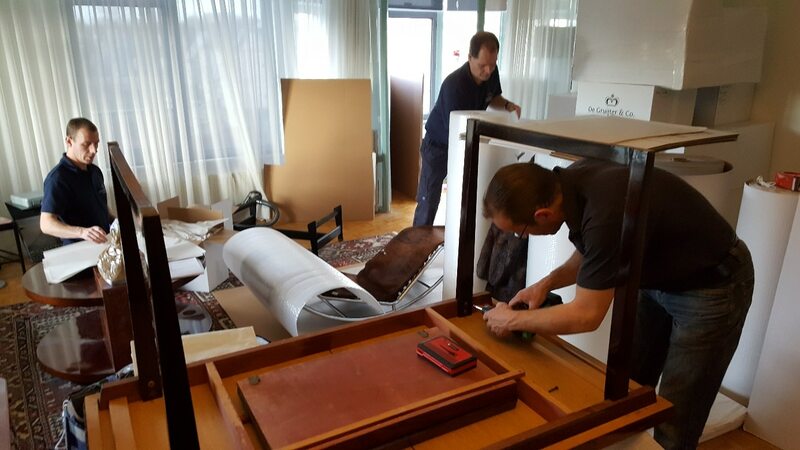 Koninklijke de Gruijter & Co. provides full door-to-door and closet-to-closet service. We pack and unpack. And we take care of anything in between. Our team ensures a carefree move to the Netherlands, so you’ll enjoy a great start of your stay in the Netherlands. To have everything arranged in a good and easy manner, allow three months between the first house visit and moving house. The exact timeframe depends on the distance and specific requirements. If you’re moving from another EU country to the Netherlands you won’t need to declare your personal goods at customs. There’s an exceptions list with items such as domestic animals and cultural property. You would like to take your car with you? You’ll need to apply for an exemption from private vehicles and motorcycle tax (BPM) by filling out a Vrijstelling bpm　form (only available in Dutch). You’re moving to the Netherlands from a non-EU country? This means you’ll need to declare your items to customs. If you’re moving to the Netherlands to live and work, you should be able to get an exemption but check the full list of conditions here. You can’t apply for the exemption yourself; this will instead need to be done by our team. For this we need a signed inventory list, a certificate of registration for the Dutch personal records database and a document such as an employment contract, statement from your employer, work permit, rental contract or mortgage certificate. If you’d like to import your car, you’ll also need a copy of its registration certificate. Don’t worry, we will take you through the whole process!